Figment.com will be unveiled on Monday as an experiment in online literature, a free platform for young people to read and write fiction, both on their computers and on their cellphones. Users are invited to write novels, short stories and poems, collaborate with other writers and give and receive feedback on the work posted on the site. The cynic in me says it’s doubtful that The Next Pop Culture Phenomenon Writer will be discovered here, but on the other hand, it’s pretty awesome to have a site aimed at teens dedicated to The Writing Experience. Unless otherwise provided in the terms and conditions of a Special Promotion, you will retain all of your ownership rights in your Publications. 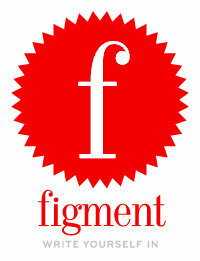 However, unless otherwise provided in the terms and conditions of a Special Promotion, by submitting a Publication to Figment, you grant Figment a worldwide, non-exclusive, royalty-free, perpetual, irrevocable license to (i) use, copy, distribute and display the Publications in connection with the operation and promotion of the Figment Website and (ii) use, copy, sell, distribute, create derivative works, translate, and otherwise fully exploit the Publications in the form of anthologies in any format, including, without limitation, in hardcover, paperback, and electronic form. Figment will use commercially reasonable efforts to notify you prior to using your Publication as described in clause (ii) of the preceding sentence. Ugh. Shades of James Frey, anyone? It’s fascinating to read so many different writer’s take on the same thing, even if I may not be familiar with all of their works. I dare say that many of these rules could be applied to more than just writing fiction. I personally don’t like his books, but fully embrace the every book its reader concept; I found the article to be fascinating.